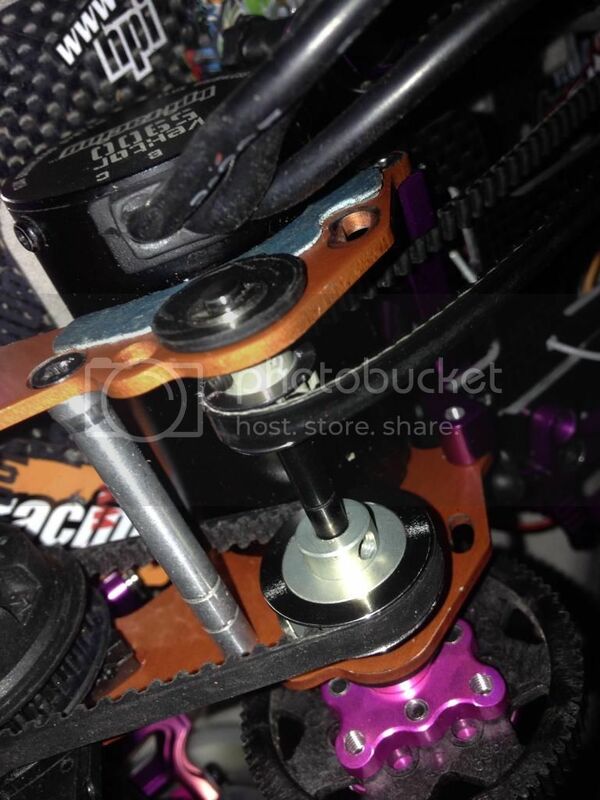 Hello guys I have recently rebuilt my hpi sprint flux! I have gone for the rc networks counter steer set up! I changed my rear centre pulls for a t21 tooth and a new 3mm belt which so tight and now my motor won't go in place. And the main drive belt is slack as hell one have I missed, any help or feedback please guys??? looks like you didn't put your front belt tensioner back on. put it back on and it'll tighten up your front belt. as far as the rear...is the pulley too large and hits the motor? is that the issue there? I built the same set up. Need to go to 20T rear and belt tensioner up front.